I just need to start by saying that Ned and Jasmine's wedding is by far one of the darn prettiest I've ever seen! Ned's mum, Robyn, had found me on Etsy and asked me to create some stationery for her son's wedding in Lake Como. I had heard of it being a popular destination for weddings and I knew it was a pretty place.. but I didn't expect it to look anywhere near as perfect as this. She knew exactly what she wanted, even down to the Pantone colour. It all looked great after print but getting to see everything in context just blew. me. away. 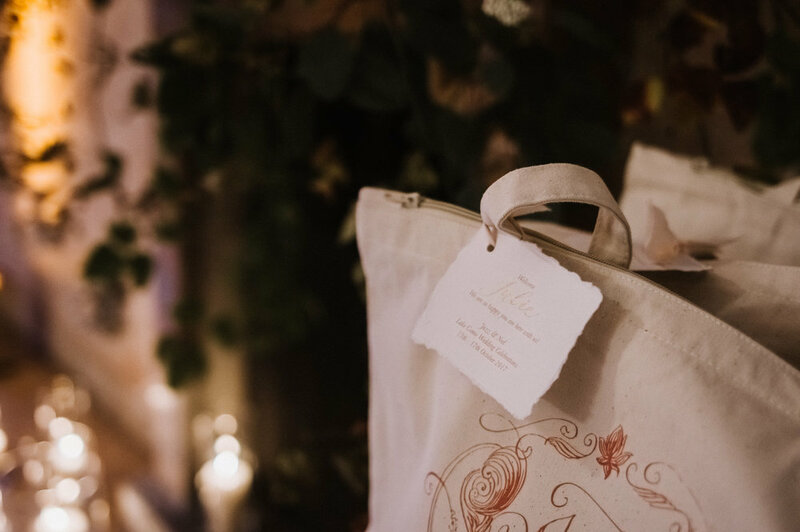 Their stationery which included gift tags, welcome notes, menus and hand-stitched wedding vow booklets and program booklets were digitally printed onto handmade cotton rag paper which is beautiful to the touch and well loved for its delicate deckle edges. 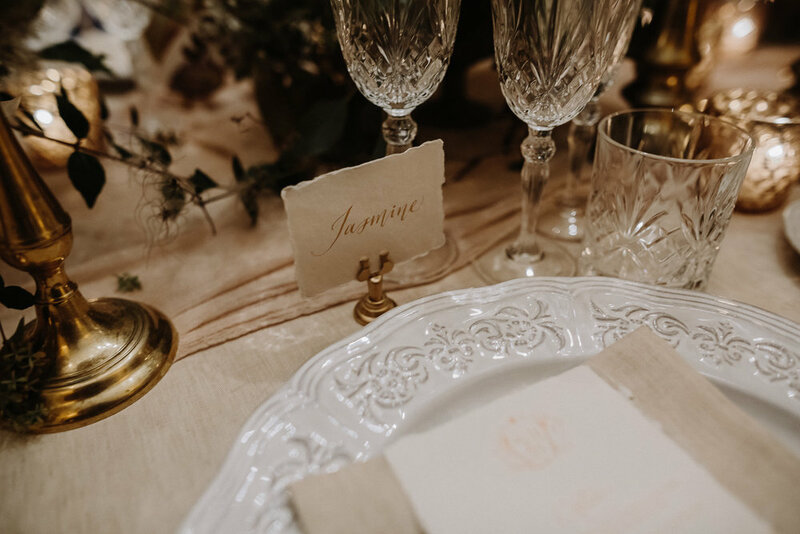 Handwritten calligraphy in a muted gold ink was used to create place cards for their intimate reception dinner. Jasmine had requested for a more traditional, elegant look and so a calligraphy style with plenty of flourishing was chosen. 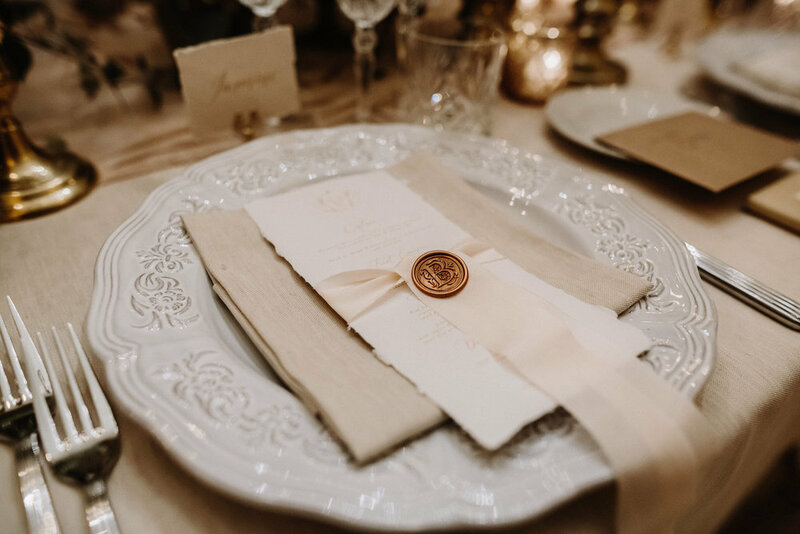 Robyn, who is all about the detail, adorned the various stationery pieces with silk ribbon and wax seals. You can't go wrong with that triple combo!